KOTA MARUDU, Jan 31 — Rural and Regional Development Minister Datuk Seri Ismail Sabri Yaakob says Majlis Amanah Rakyat (Mara) has not decided on the courses to be dropped from the sponsorship list of foreign universities. Suruhanjaya Komunikasi dan Multimedia Malaysia (SKMM) bersama Jabatan Siasatan Jenayah Komersial Polis Diraja Malaysia (PDRM) melakukan 3 serbuan berasingan terhadap 3 individu disyaki memuat naik kandungan yang jelik sifatnya. Suruhanjaya itu dalam satu kenyataan berkata serbuan di Kuala Lumpur, Cheras dan Bangi itu dibuat baru-baru ini berikutan aduan orang awam yang diterima melibatkan penyalahgunaan perkhidmatan komunikasi dan media sosial. Parts of the speech delivered by Batu MP Tian Chua during a public forum at the Selangor Assembly Hall after the 13th general elections did not procure the alteration of the government, the Sessions Court heard today. Defence counsel New Sin Yew, who is representing Tian Chua, in his written submission, argued that the PKR leader’s speech did not mention about any change of the government. “The prosecution witnesses during cross-examination also agreed that the accused’s speech did not invite citizens to challenge the results of the elections by going to the streets or touch on anything to deny the results of GE13, among others. “The accused only mentioned ‘turun ke jalan raya’ and nothing more. However, ‘turun ke jalan raya’ does not necessarily lead to a public assembly. 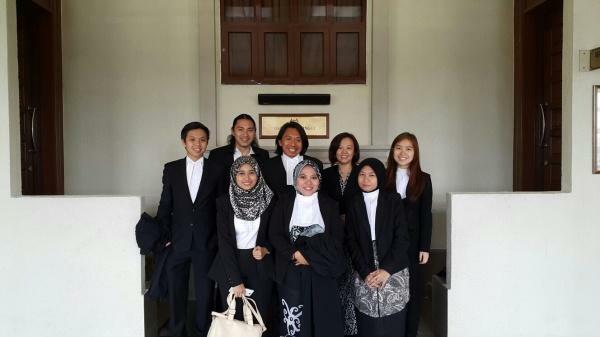 “Even if ‘turun ke jalan raya’ means having a public assembly (which is denied by the defence), there is nothing unlawful about having a public assembly because the Peaceful Assembly Act (PAA) 2012 guarantees the right of citizens to assemble peacefully and without arms,” he told the court this morning. Lawyer Lim Chee Wee says the A-G’s failure to explain why he did not help MACC in investigating the prime minister will only fuel speculations of a cover-up. – The Malaysian Insider pic, January 29, 2016. The controversy over the decision not to charge the prime minister for any wrongdoing in the RM2.6 billion donation saga continued today when a member of the Malaysian Anti-Corruption Commission’s (MACC) review panel questioned why the attorney-general (A-G) did not help investigators in the probe. Lim Chee Wee said the A-G was legally obliged to explain why he did not facilitate MACC’s request to access foreign bank statements through the Mutual Legal Assistance (MLA), to check on the money trail of the RM2.6 billion which was credited into Datuk Seri Najib Razak’s personal accounts. This, he said, was to dispel any speculation of a cover-up. Lim, the former Malaysian Bar president, said the A-G was also wrong to order the anti-graft body to close its investigations, adding that his power was only to decide whether to prosecute or not. He said it was “arguable” that the A-G was legally obliged to provide assistance to MACC through MLA. “The A-G is equally obliged in law to explain why he is not facilitating MACC’s investigations of the money trail of RM2.6 billion as disclosed by MACC in its 31 December 2015 press statement, by providing his consent for Mutual Legal Assistance which would allow MACC access to bank statements of banks operating overseas, through which the funds moved. “Again this would help dispel the speculation of a cover-up by A-G and that the alleged donation is allegedly KWAP money,” Lim said, referring to the pension fund, in a statement today. Attorney-General Tan Sri Mohamed Apandi Ali says there is no criminal wrongdoing when RM2.6 billion was found in Prime Minister Datuk Seri Najib Razak’s private bank accounts. – The Malaysian Insider file pic, January 29, 2016. The controversy continues unabated. It is about the attorney-general’s directive to the Malaysian Anti-Corruption Commission (MACC) to close investigations into the 1Malaysia Devleopment Berhad (1MDB) affair. Perhaps adding fuel to the fire is the rather abrupt “retirement” of former attorney-general Tan Sri Gani Patail on health grounds while these investigations were initially proceeding (he has since gone on to work for a law firm); and his replacement with the present A-G. The latest volley in the barrage of citizens’ demand for reasons and accountability for the decision was carried in the Sun by Yayasan 1Malaysia Chairman Dr Chandra Muzaffar, “7 reasons to evaluate AG’s decision” on January 29, 2016. That is the question – is his decision beyond scrutiny? Dewan Negara has approved Malaysia’s TPP participation. – Wikipedia pic, January 28, 2016. The Dewan Negara has just approved a motion to allow Malaysia to participate in the Trans-Pacific Partnership (TPP) following Dewan Rakyat’s endorsement yesterday. The Senate sitting discussing TPP started this morning. Dewan Rakyat‘s 127 backbenchers voted in favour of the pact while the 84 opposition MPs voted against the motion. The lower house had a two-day special parliamentary meeting on the controversial multi-national trade pact. KUALA LUMPUR, Jan 28 — The Attorney-General (AG) does not have absolute power in deciding whether or not to press charges and his decisions can be questioned in the courts, prominent lawyer Datuk Ambiga Sreenevasan said today. Ambiga said there was no such thing as an “absolute power in a democracy” and asserted that the AG’s discretion still has to be exercised reasonably and after taking into account proper factors. M. Indira Gandhi has applied to reverse the appellate court’s ruling on the unilateral conversion of her minor children. – The Malaysian Insider file pic, January 28, 2016. Kindergarten teacher M. Indira Gandhi has filed her leave application to reverse the Court of Appeal ruling on unilateral conversion of her minor children, lawyer M. Kula Segaran said. The lawyer said the application to the Federal Court was filed today via e-filing and copies had been served to the respondents. Jan 27, 2016, Kuala Lumpur – After 33 days of trial, the Public Prosecutor dropped its original charges against Yazid Sufaat and Hilmi Hasim. The charges were for promoting the commission of terrorist acts (maximum punishment: 30 years) and being members of a terrorist group (maximum punishment: life). The decision to drop the charges came after the cross-examination of the prosecution’s star witness, Mohamad Razin Sharhan Mustapha Kamal, by counsel for Yazid and Hilmi, Amer Hamzah Arshad. Razin’s evidence was exculpatory of the accused persons. The defence then made a representation that the charges be dropped. The prosecution agreed. Instead, an alternative charge of omitting to give information relating to terrorist acts under section 130M of the Penal Code was preferred against Yazid and Hilmi. The offence is punishable by imprisonment of up to 7 years. Yazid and Hilmi pleaded guilty to the alternative charge. PETALING JAYA, Jan 28 — Seventy-six pupils of Sekolah Kebangsaan Pos Tohoi have not returned to school after five of their schoolmates died tragically last August. Their parents claim they were still traumatised by the incident and the authorities had not done enough to improve conditions in the school. Ayel Ajib, 48, the father of Ika, who died in the incident, said his three other children refused to return to school. “They are so afraid after what happened to their elder sister,” he said. Ayel admitted that he, too, felt frightened to send his children back to the school.